* An allergy occurs when the body has an abnormal response to a substance (allergen) which is normally not harmful. * Some common allergies include hay fever, asthma, hives and dermatitis. * The immune system, in a bid to protect the body, recognizes and attacks allergens, which it considers to be foreign invaders. This may cause allergic reactions, which can take form in a variety of ways. * Allergens are many and varied, and what may be an allergen to one person may not be to another. Some of the more common allergens include pollen, food and food additives, drugs, moud, animals, plants, air pollution, smoke, fumes, chemicals, cosmetics and dust mites. * Some common symptoms of allergy include coughing, wheezing, increased blood pressure, watery discharge from eyes and nose, skin disorders, fatigue and headaches or migraines. * Hay fever – common symptoms of hay fever include itchy or watery eyes, sneezing, clear and thin (runny) nasal discharge. Symptoms often return at the same or similar time each year. * Asthma – may be characterized by difficulty in breathing, tightness in the chest, wheezing and/or coughing. 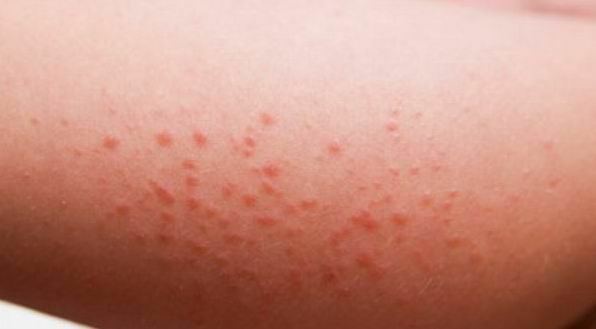 * Hives – may appear as red, itchy welt like lumps on the skin, these can vary in size and area of appearance. * Dermatitis – is a skin irritation that varies in appearance. 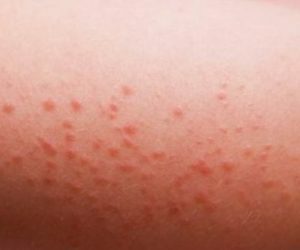 It often occurs as scaly, flaky patches that may be itchy and red or discolored. It can also appear blister like with weeping or crusted over areas. Dermatitis rashes may appear on different areas of the body such as the face, behind the knees or on the inside of the elbows. * Symptoms of allergies may appear immediately upon exposure to the allergen or may take many days to develop. * Avoiding airborne allergens – there are many environmental allergens that are difficult to avoid, however you can reduce your exposure to them by making a few changes to your lifestyle. – Pets may be the problem, so depending on the severity of the situation you may need to find alternative living arrangements for them. – Remove rugs, carpets, and upholstered furniture. Smooth surfaces are less likely to harbor allergens. – Use hypoallergenic mattresses and pillows or cover them with plastic coverings. – Wash bed linen every week in hot water with hypoallergenic detergent. – Install an air purifier. – Avoid smoke, fumes and obvious pollution. – Look in your garden for plants that may cause allergic reactions. – Use hypoallergenic cosmetics and cleaning agents whenever possible. * Identifying and eliminating food allergens in your diet. This is done by removing suspicious foods from your diet. One month later you may reintroduce these foods one each day, taking careful note of any reactions however small they may be. If you notice reactions from a certain food, eliminate it from your diet for two more months. Reintroduce the foods one at a time, again taking careful note of any reactions. If there are reactions, you should consider eliminating the food from your diet permanently. If you have trouble identifying suspicious foods in the beginning, look for foods that give you obvious symptoms such as the sick feeling some people have after consuming milk products or bread products. Identify foods that you consume many times throughout the week such as wheat products or foods containing certain additives etc. Be aware of foods containing artificial colors and msg, as they sometimes cause allergies. * Steps that may be useful in treating allergies naturally include: – Identifying the allergen – Reduce exposure to the allergen – Support the body’s anti-allergy system with natural treatments. * Acupuncture, reflexology or acupressure by a qualified practitioner may reduce the effects of allergies and/or reduce the incidence of allergies. * It is important to note that acute attacks of asthma must be treated with the prescribed medication from your medical practitioner. VITAMIN B6 – PYRIDOXINE – Promotes red blood cell formation, is needed for making antibodies, maintains chemical balance in body fluids, is involved in the production of all major neurotransmitters and assists the brain to function normally. Sources include carrot, wheat germ, walnuts, sunflower seeds, brewer’s yeast, bananas, brown rice, whole grains, tempeh, and alfalfa. 25 – 50 mg twice daily may be of help for asthmatics. Note that the use of cortisone drugs prevents the absorption of vitamin B6. VITAMIN B12 – CYANOCOBALAMIN – Aids in the general health of body cells and nerve tissue, assists in the production of blood, DNA and RNA. Kelp, kombu, nori, soybeans, alfalfa, hops milk and cheese are good sources of vitamin B12. 1,000 – 1,200 mcg daily of vitamin B12 may assist in reducing the chance of asthma attacks and may be used for patients with sensitivity to sulfite. VITAMIN C – An important antioxidant, used for cell and inter cellular structure, helps to reduce inflammation (especially when taken with bioflavonoids), boosts the immune system, interacts with other nutrients and protects the body from allergens. Sources of vitamin C include tomatoes, citrus fruits, potatoes, berries, brussel sprouts, parsley, kale, papaya, pineapple, rose hip, alfalfa, mangos, sweet peppers, radishes, peppermint, broccoli and cabbage. 10 – 30 mg daily for every 2 pounds of body weight in divided doses may significantly improve the respiratory system function and lower histamine levels, due to its antioxidant effect. Do not use more than 5,000 mg daily if pregnant. Use esterified vitamin C if you use aspirin. Large doses of vitamin C may cause diarrhea, may deplete the body of copper and affect the reliability of oral contraceptives. BETA CAROTENE – Are powerful antioxidants that scavenge free radicals and stimulate the immune response. Carotenes are precursors to vitamin A, and unlike vitamin A cannot become toxic to the body in large doses (unless the body cannot convert beta-carotene into vitamin A). Sources of carotenes include pumpkin, sweet potatoes, kale, spinach, yellow squash, peaches, papayas, alfalfa, lemon grass, peppermint, sage, fennel seed and paprika. Use according to label instructions. BIOFLAVONOIDS & RUTIN – Are not strictly vitamins. Bioflavonoids are known to decrease reactions to some allergens, have an antibacterial effect, and promotes circulation and the uptake of vitamin C into the body. Sources include citrus pith, blackcurrants, prunes, grapes, cherries, apricots, grape seed extract, green tea and rose hip. 1,000 – 1,200 mg of quercetin in two or three doses daily may assist with allergies. ECHINACEA, PURPLE CONEFLOWER. – Inhibits inflammation, promotes wound healing, improves skin conditions and stimulates the immune and lymphatic systems. Use according to label instructions. Do not use if allergic to plants in the sunflower family. Do not use if you have an autoimmune illness or a progressive disease such as tuberculosis or multiple sclerosis. LICORICE ROOT, GAN CAO – May be used as an expectorant, it is known to fight viruses and bacteria and assists the immune system. 250 – 500 mg of powdered extract may be of assistance in allergy sufferers. Licorice root should be used under medical supervision as it may lead to water retention and high blood pressure.Increase of dietary potassium may also be needed. Do not use during pregnancy or with glaucoma. Do not use for more than one week. EUCALYPTUS – Useful in certain allergic conditions. Place a few drops in a washbasin and place a towel over your head and breathe in the aromas.